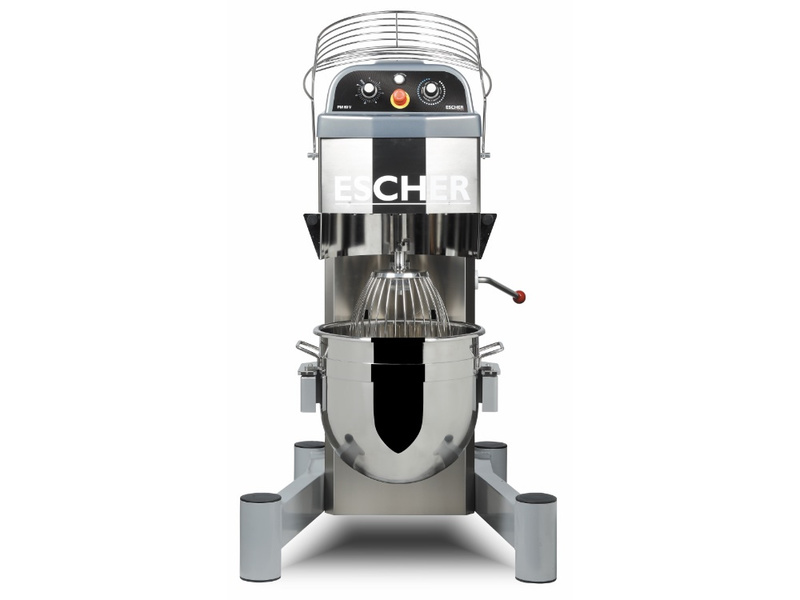 The PM range of planetary mixers guarantees thorough mixing results and combines a sturdy construction with a modern essential design. · 20-40-60 and 80 liter models with variable speed for the tools – lever-operated bowl support system. · machine completely constructed in stainlesssteel (standard 40-60-80 models are built instainless steel, with the exception of the feetand of the head cover). Very easy tool fixing/releasing system thanks to the absence of lock rings. The machinery stands out for the lack of oil bath gears, which eliminates the risk of contaminating the product. As there are no gears, maintenance proceduresare reduced to a minimum. All parts in contact with food products are instainless steel. It is important to underline that our models 40-60 are supplied standard with a stainless steel frame. This brings an important advantage in terms of hygiene and maintenance of themachine. I would like to receive the brochure.